Interactive map of 8 European biomes. Geography learning game. 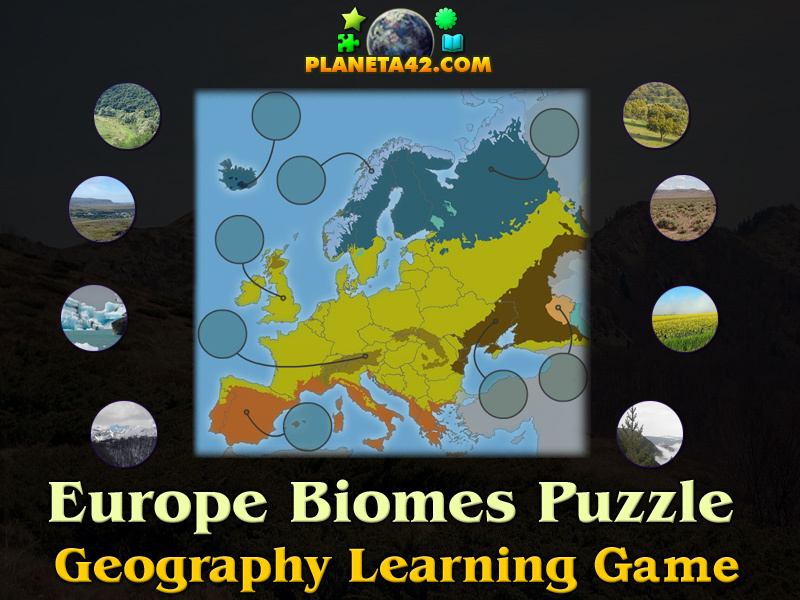 "Europe Biomes Puzzle" is a free online knowledge level game to find the correct biome of Europe environment map. 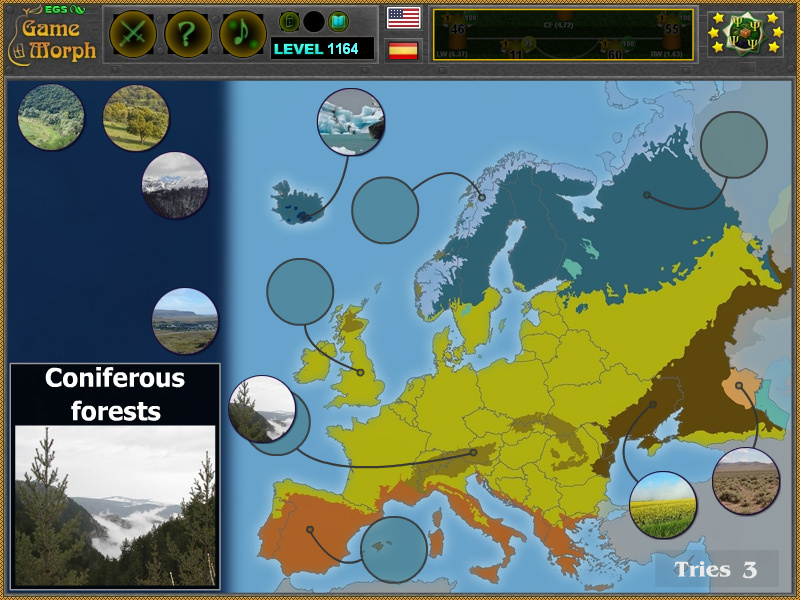 Fun educational geography game to exercise or study habitable zones and terrestrial vegetation of Europe, suitable for online lessons and interactive classes. Minute to win it game. Bimes game. How to play Europe Biomes Puzzle. There are 8 movable pieces of Europe biomes situated on the left side of the screen. Drag and drop them on the correct slot of europe terrestrial map to the right of the screen. The information window shows a beautiful landscape of the biomes. Know 3 biomes of Europe and get +1 Knowledge Level. What environment zones do Europe have? How many biomes are there in Europe? What is the abundance of Broadleaf in Europe? Where do pine trees grow in Europe? What are the biomes of Europe? What habitats do Europe have? Labels: Biome Games , Interactive Maps , Puzzle Games , Geography Games , Europe Games , Free Online Games.